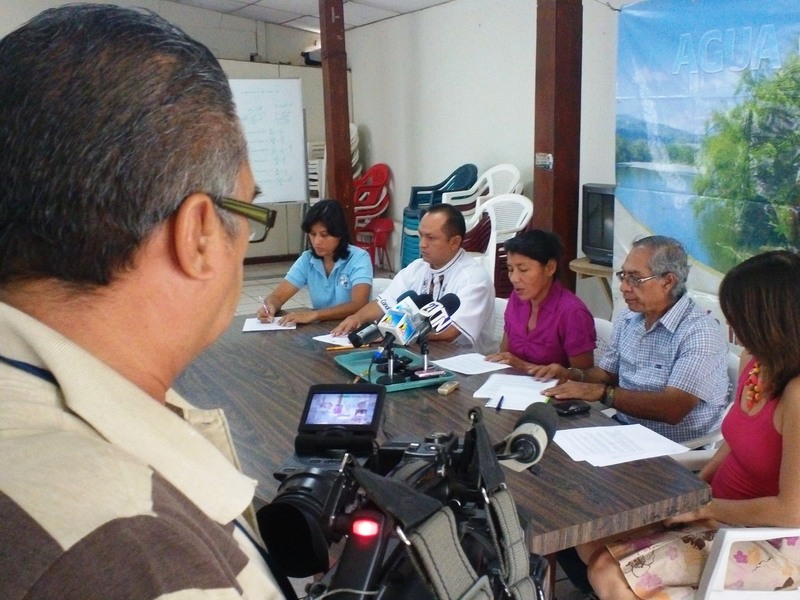 The NationalRoundtable Against Metallic Mining in El Salvador(La Mesa) reiterated in a press conference thismorning its petition for the Salvadoran Government to introduce legislation to place a definite ban to metallic mining in the country. The call was made as a response to a recent report released by the El Salvador’s Human Rights Ombudsman that highlights the potential violations to the human rights of Salvadorans by cross border contamination stemming from the Cerro Blanco project located in Guatemala, and recent legislation in the neighboring country of Honduras that opens the gate to a flood of mining projects located in the border with El Salvador. During the press conference members of La Mesa expressed their solidarity with civil society organizations in Guatemala and Honduras, sisters in their struggle for life and the defense of territories, access to clean water and natural ecosystems. They also mentioned the necessity to ban metal mining in El Salvador in order to legitimately require neighboring countries to cancel extractive projects that could affect life locally. This entry was posted in El Salvador, General and tagged Central American news updates, human rights, mining. Bookmark the permalink.